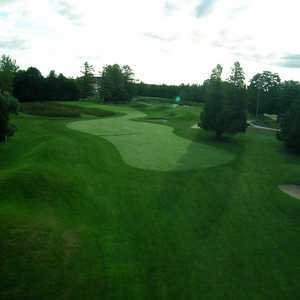 The 18-hole Marlwood Country Club in Wasaga Beach, ON is a semi-private golf course that opened in 1928. Marlwood Country Club measures 5400 yards from the longest tees. The greens are bent grass and the fairways are poa annua grass. 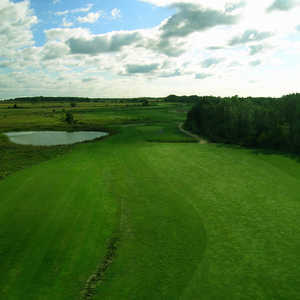 Situated upon acres of farmland at the eastern gateway to Wasaga Beach, The Links at Georgian Sands boasts many picturesque holes. The golf course is a traditional links design that features natural grasses and white sand bunkers across a gently rolling terrain. 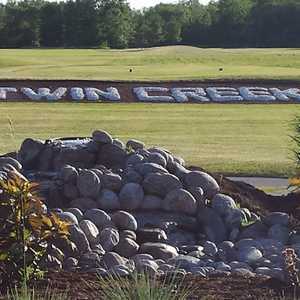 Both the McIntyre and Lamont Creeks meander through Twin Creeks Golf and Country Club (formerly known as Wasaga Sands Golf Club), providing challenges on several holes, mostly on the back nine. There are also variously sized ponds that come into play on the front nine.